We at LBB take our dessert seriously and when we’re left deserted at midnight with no options but an old forgotten bar of 5 Star, it can be quite the bummer. We decided to look for greener pastures and here’s what we found. We have three words for you: Hot Chocolate Fudge. 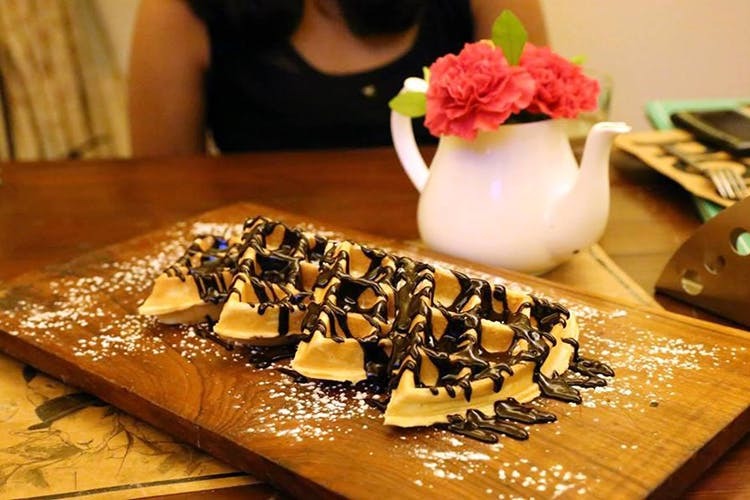 For late night comfort food, a sugar rush if you have to stay up for work or just because you’re jonesing for a little sweet something, head to Nirulas in CP. It’s a classic for a reason; you’ll leave feeling warm and fuzzy. No post about dessert is complete without the mention of a cake. For a late night birthday surprise, might we suggest Beyond Breads? Their cakes are always fresh and the quality is top-notch. We’re leaning towards the Hazelnut Praline, but they have plenty of variety. Feeling adventurous? They’ve got a Paan flavour, too. Solely responsible for popularising the red velvet cake in the city, Elma’s menu is high on cake. We personally love the Salted Caramel, the Carrot and the New York Cheesecake and the Moist Chocolate. Throw in an ice cream shake to really make a night of it.